I’d like to show you around our vegetable garden, and I’d also like to encourage you to grow your own vegetables. If we can do it, so can you. I’ll admit that it takes a lot of work to take care of a garden this big. And sometimes it’s overwhelming. But you don’t need a large garden. 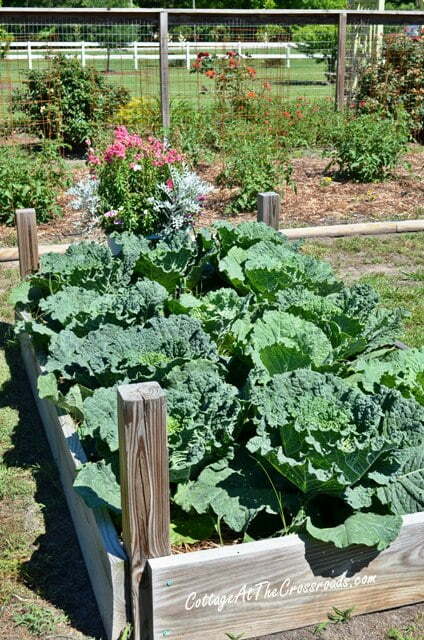 If you have a 4 foot by 8 foot space in your yard, you’d be surprised how many vegetables you can grow in that area. It’s a good idea to start small. Some folks try to do too much too fast and get discouraged. I highly recommend starting a garden by building a raised bed, and if you’re interested, here’s how you can build that raised bed. I’ve built 12 raised beds so far, and as you can see, Jane has chosen to pretty things up by planting flowers in her plastic painted pots, done in pastels, of course. 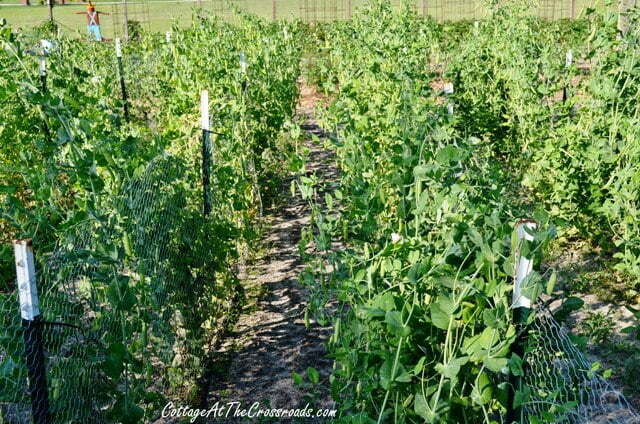 Here is South Carolina, this is the time of year that we can start enjoying our fresh vegetables like these early peas. 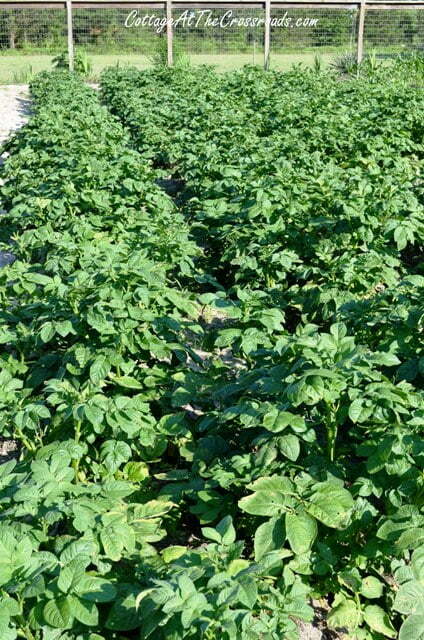 Under these beautiful plants are some new red potatoes. Let’s boil up a pot of cabbage, make a nice salad with fresh lettuce, radishes, onions and bell peppers. Don’t forget to pick a few cucumbers for the salad. Jane and I find the garden is a nice place to relax. 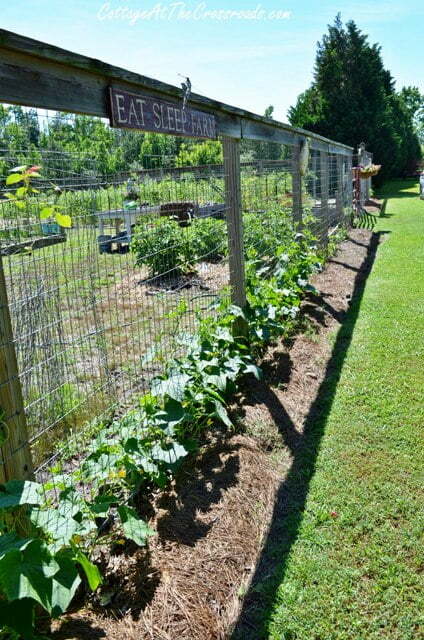 One of the biggest challenges of growing a garden is fighting the weeds. This year I decided to lay down landscaping fabric under all of our tomatoes. Good move and money well spent. Not a weed in sight! 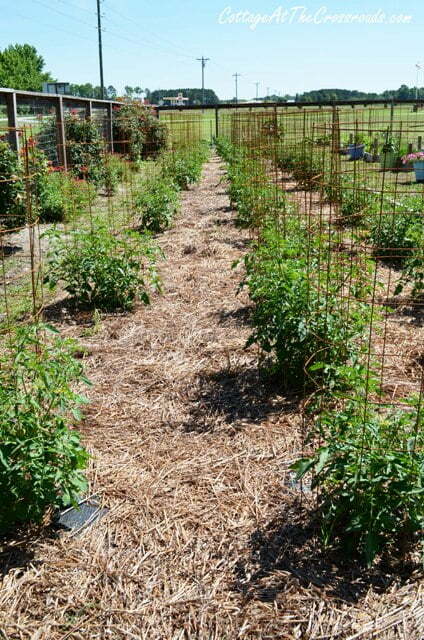 You can read about it in the post Our Tomato Planting Tips. 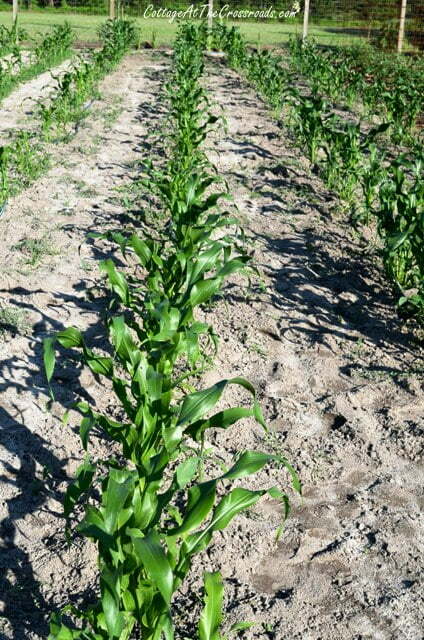 Corn will be ready in about 30 days. We enjoyed our first yellow squash for dinner last night. I’ve just got to show you this. Three years ago my neighbor gave me a small twig and she said that it was a peach tree. I planted it in a corner of the garden and just kinda forgot about it. Check this out! It’s loaded with peaches. I’ll let you know how they turn out. So if you’re thinking about planting a garden, go ahead. I won’t lie. It’s a lot of hard work. But I actually find it therapeutic. Here’s the real reward. We picked all these vegetables out of our garden today. If we can do this, so can you. « Amazon Gift Card Giveaway! Your garden is gorgeous! 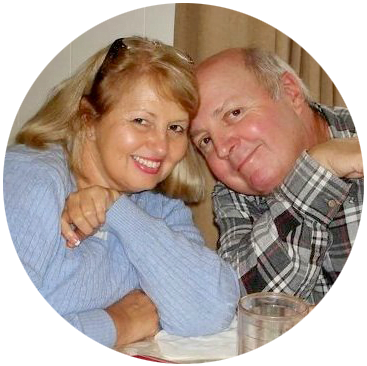 I found you on Hometalk and will be sure to follow along. I am in NC so won’t have to adjust your tips much. Thanks for sharing. Wow! I am loving your garden! It is beautiful! Do you know of any cotton farms that have ongoing farm tours showing and explaining their crop? Thanks for any info. Your article on cotton growing was very informative. thank you both so much for your outstanding garden and taking the time to take pics and then post them. My wife and I just retired and moved to Tx. we are planning a garden for 2014 and have been looking at your sites for different ideas. Again thanks from the bottom of our hearts for all the info you have placed here. What a great post. Love seeing your garden. We just put in a smaller raised bed this year and are having so much fun seeing it grow….we are already planning how to add to it next year! Would love to see more! I’m going to start my first vegetable garden. 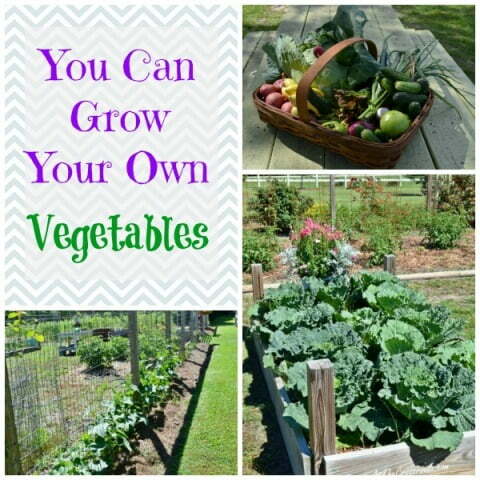 (I’ve always gardened, just not vegetables.) How big is your garden? 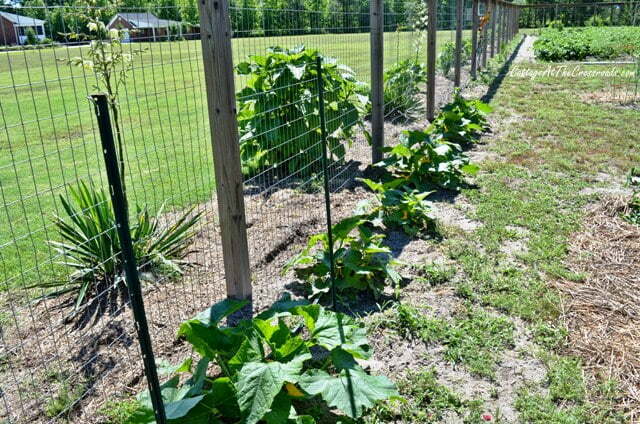 Have you fenced in the entire garden? Yours looks wonderful! What a gorgeous garden you have! 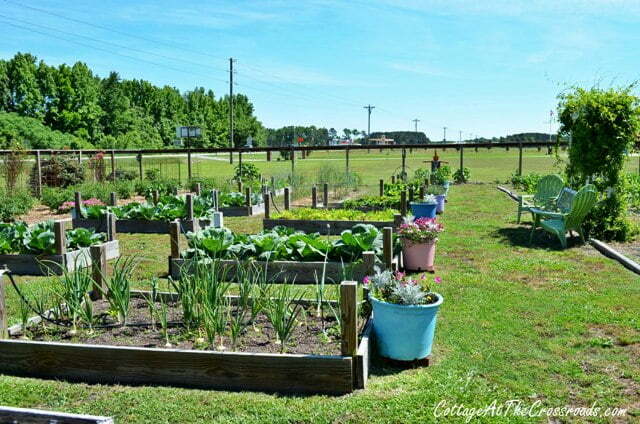 We started one a couple years ago – started small and now we have numerous raised beds. Lots of rain this spring so the weeds are a little out of control. I need just one sunny day so I can go pull them all. Thanks for sharing your beautiful garden. It’s so nice to eat what you grow (and I agree – it’s therapeutic taking care of it). Your garden is gorgeous! I’m hoping mine turns out as nice as yours. 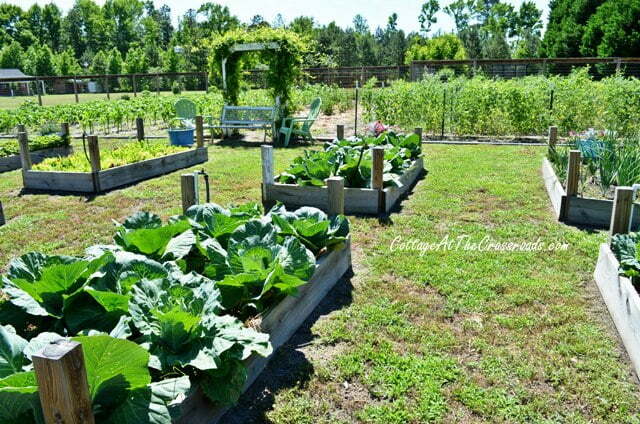 You must have a lot of space to have 12 raised beds and all those beds on the ground. Love the pots at the end of the beds, I was actually thinking of doing that as well, but don’t know how to keep them safe from my free ranging chickens, turkeys, and geese. Wow, my garden is just starting to sprout. I live in the mountains of N. Calif and we had our last freeze last week. Late in the season for a freeze but it sure did a number on my basil and nipped a few of my tomato plants. I certainly enjoyed the tour of your prolific garden and I have hopes of enjoying the same later on, most likely late July early August. Thank you. 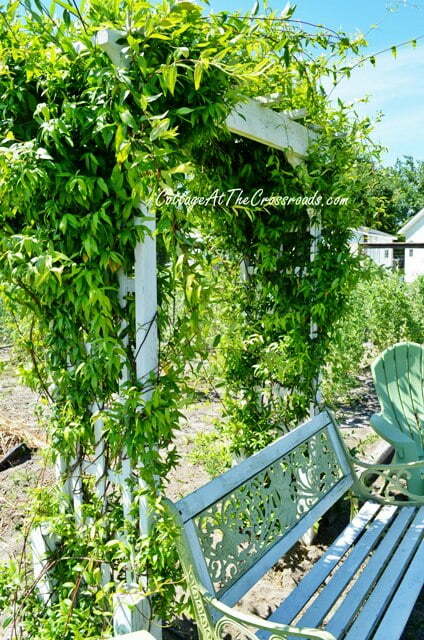 I agree, a garden is hard work and good therapy! And then you are so richly rewarded with your bounty. You must have more veggies than you can eat. That is one amazing garden! I can only dream that my small garden will look as neat as yours. I love photos and updates of the progress in your garden every year. Your garden is fantastic! 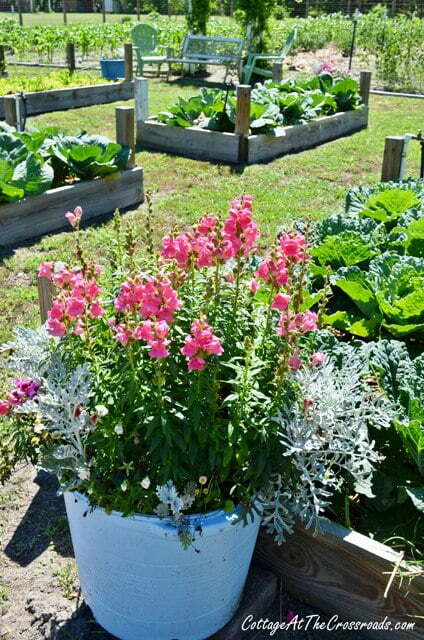 Thanks for encouraging others to do as you have and thanks for all the raised bed tips and info…. My goal in the future is to learn how to grow everything that I like! It’s a rewarding activity! What beautiful and fantastic garden you have, it look so fresh and vibrant. Very yummy too. Have a great weekend! Good afternoon, Jane. Thank you for sharing. Tis the better things of life that are showered upon us, that bring warm hearts, great smiles and the feeling of accomplishments! 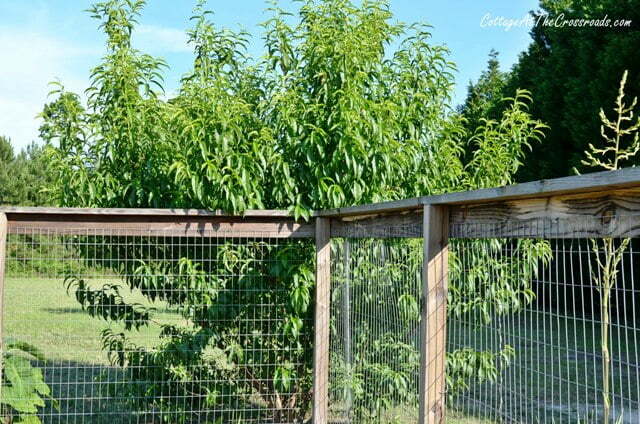 As I looked at the first couple of pictures I was thinking “I wonder why they don’t have any fruit trees? 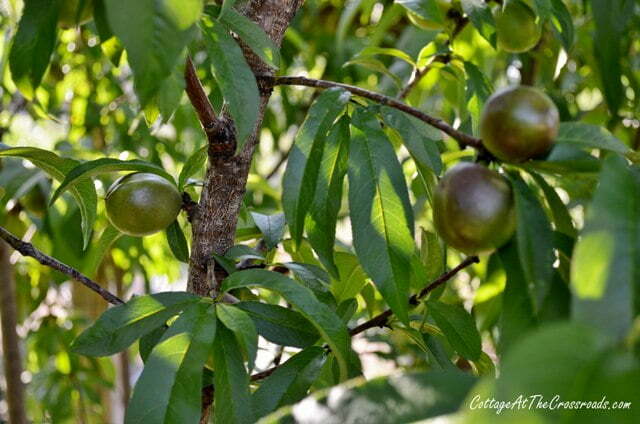 I thought peaches were a good crop down there.” And lo and behold there was your peach tree! I love your garden and seeing everything growing. Hard work is an understatement! This is truly amazing. I love seeing all the different veggies! 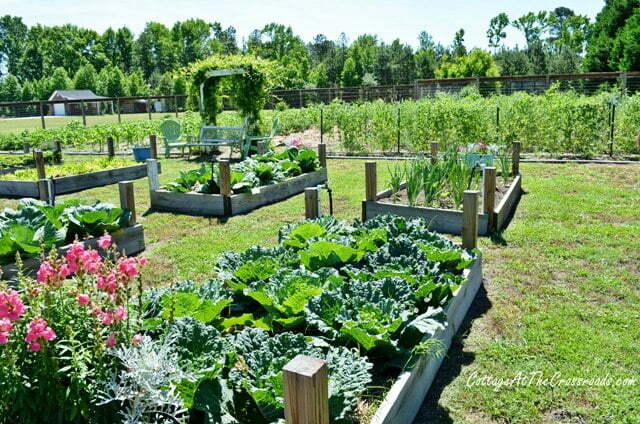 Oh what a great garden and such delicious looking veggies! Thank you for the tour. Your garden is simply amazing and so beautiful. I too love working in our little garden but oh do I fight the crab grass growing right now! 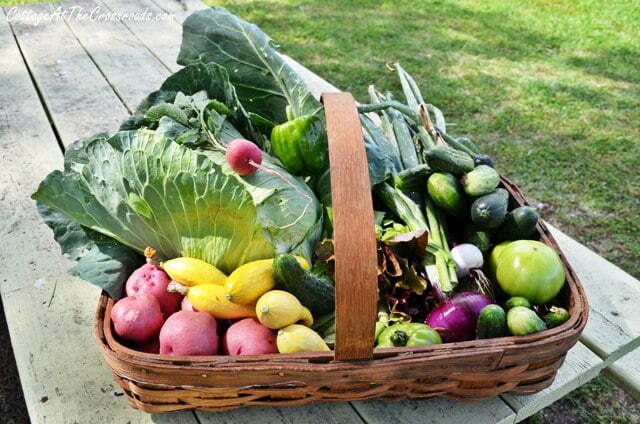 The basket filled with the veggies is so inspiring!